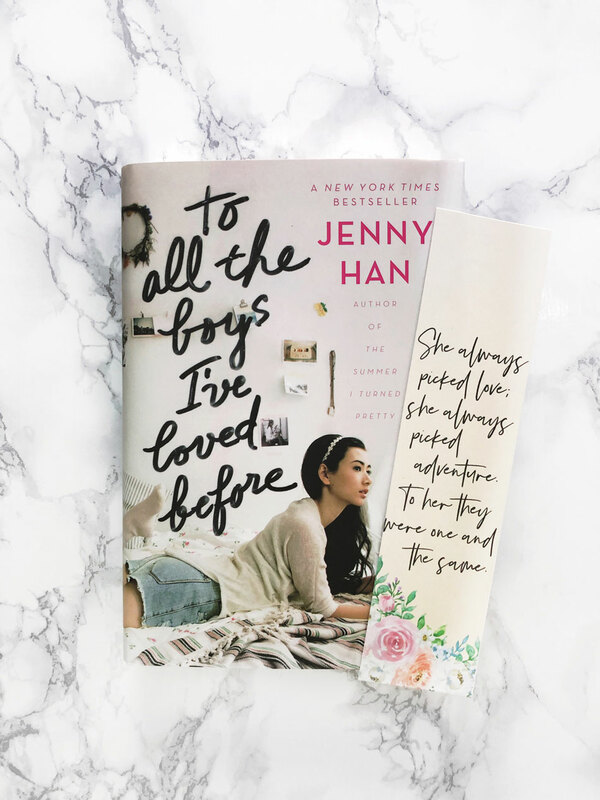 Today I’m sharing some free printable bookmarks featuring some quotes from the YA book series To All The Boys I’ve Loved Before by Jenny Han! 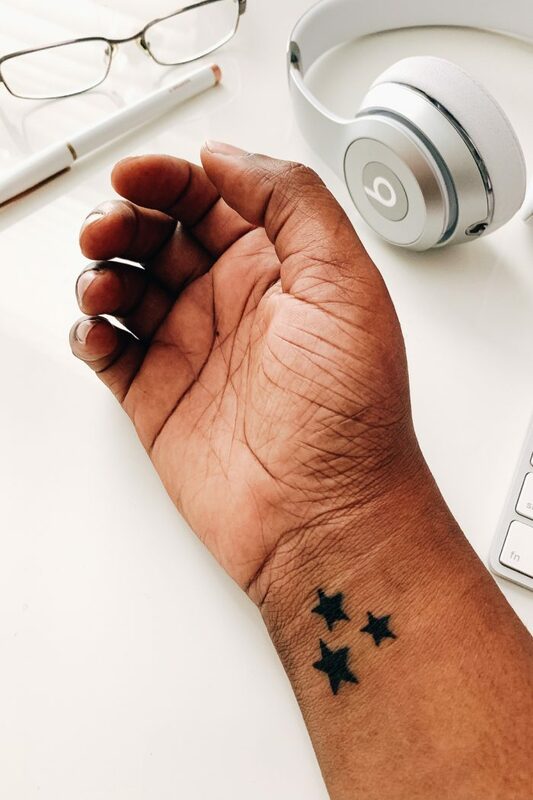 If you’ve never heard of it, TATBILB is about a girl named Lara Jean whose love life is turned upside down after her secret love letters to her former crushes are sent out to each them. I fell in love with this book series and read all 3 of them in less than 2 weeks. I never, ever finish books that fast! So I’m very excited that it’s being released soon as a movie! I actually thought these books would be better as a TV show or mini series, since there’s so much interaction between the characters that I’m sure we’ll miss in the movie. But I hope to be proven wrong. There’s an amazing cast, including Lana Condor, Noah Centineo, John Corbett, and Janel Parrish, and I’m so happy that they cast an Asian actress in the lead role (I wish they had chosen a Korean actress though, since Lara Jean is Korean). The trailer for the movie hasn’t been released yet, but it should be out very soon. 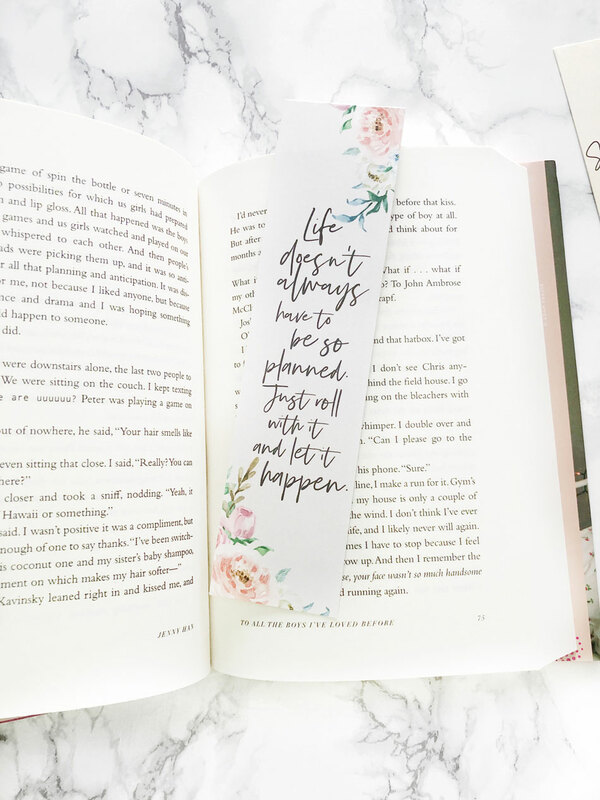 To celebrate, I decided to make some pretty bookmarks inspired by the book! I had an idea to make these really feminine and whimsical, using a color scheme that reminds me so much of the lovely book covers. These beautiful watercolor flowers by Flora & Bear did the trick! I featured quotes from all 3 books because they’re all amazing. 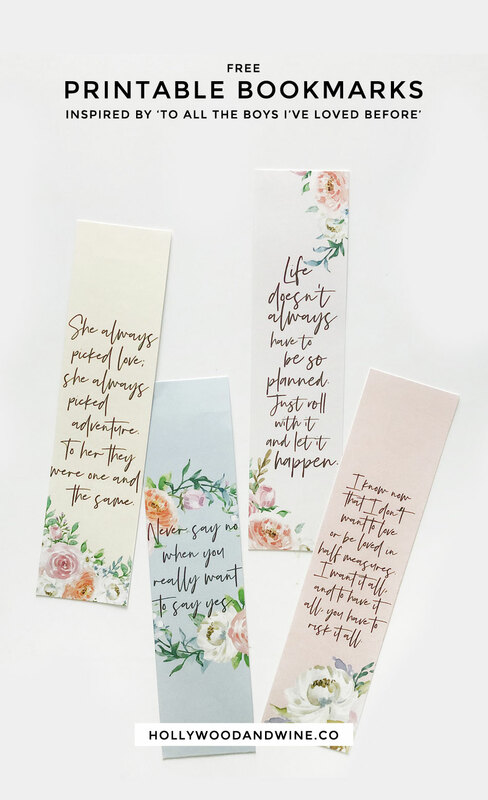 I love these bookmarks so much and I’ll definitely be using them myself! Click the button below for instant download! These are free for personal use only. Please do not redistribute them in any way. 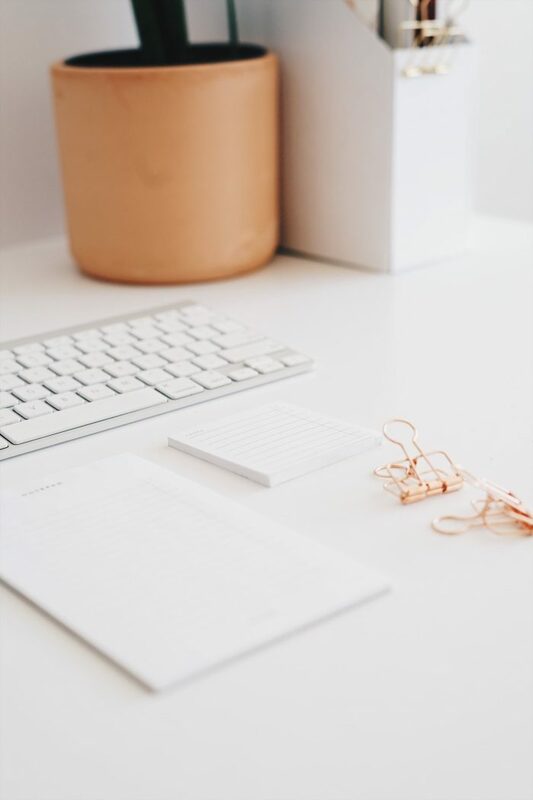 Download the bookmarks and then print them out on your card stock. I recommend cutting the page down to a big square so that they’re easier to trim. I used a paper cutter to get clean, straight lines. Then, use the laminating sheets to seal and protect them (optional). I love the way these turned out! To All The Boys Before the movie comes to Netflix on August 17, 2018! Have you ever read the book?